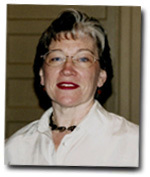 Pastor Dr. Dorothy McNeer O'Quinn came to Boulevard UMC in July 2002. She has over 170 years of Methodist Ministers in her family. Raised in Chester, she attended Chester United Methodist Church. Dorothy went to Meredith College, earning a Bachelor of Music degree in Applied Organ. After that she went to the Divinity School at Duke University, completing her Master of Divinity. After fifteen years of serving churches, Dorothy went back to school, earning a Doctor of Ministry degree from United Theological Seminary in Dayton, Ohio. While serving her first appointment, Dorothy met a pastor from Alabama—the two were married twenty years ago. They now have three active and talented boys. Dorothy's husband, Jim, serves as an extension minister with Lifeline Counseling Associates, Inc. He works with convicted felons, helping them not to re-offend. He works afternoons and evenings, so he is usually at Boulevard only on Sunday mornings. The family lives in Richmond near Bon Secours Assisted Living, where Dorothy's father lives. Jim's parents live nearby. The O'Quinns are happy to be near loved ones. They are also glad to be a part of the Boulevard family. Pastor Dorothy guides Boulevard United Methodist Church with a steady and loving hand. Under her leadership, our church is a place of open hearts, open minds, and open doors. "For those who feel isolated in the middle of the city, or for those who are weary of the party scene, or who want to meet good solid decent folk, the church is a good place. My hope is that you will find in Boulevard Church what you need: a healing place for your weariness; a challenge for your bored soul; and a place to explore who—and Whose—you are."